Uses : It is anti spasmodic, stimulant, carminative and stomachic. It is useful in diseases of eye, blood and livers. It is used as a remedy for hysteria, hypochondriasis, nervous unrest and emotional stress. Also useful in clearing voice and acts as stimulant in advance stage of fever and nervous disorder. The paste of roots mashed in water is applied on forehead to alleviate the pain. 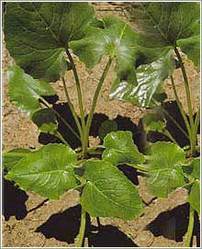 Externally, the paste of its roots is applied in wounds for better healing.